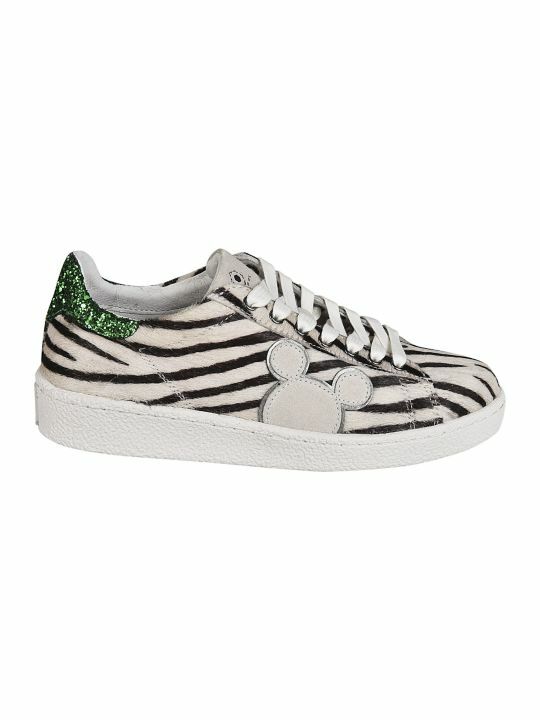 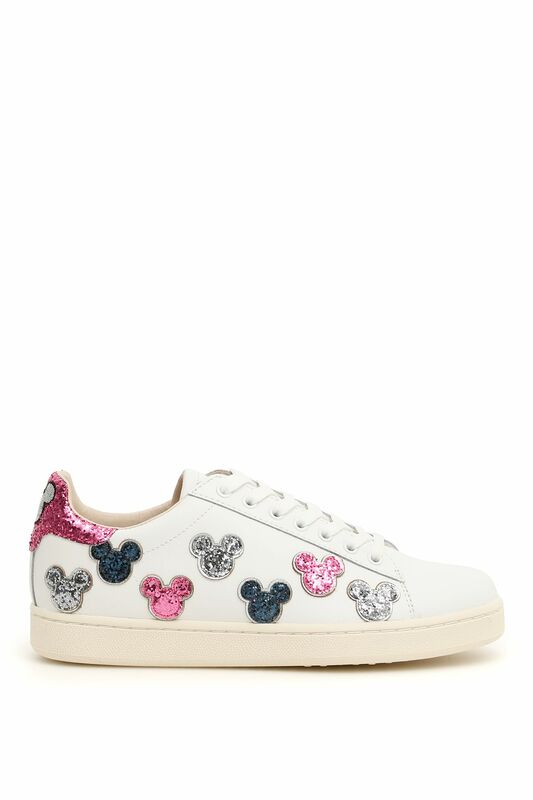 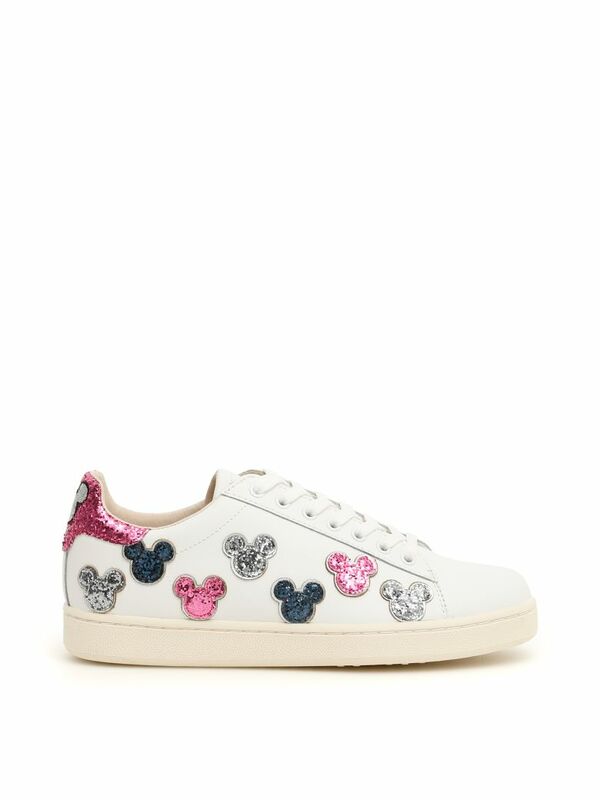 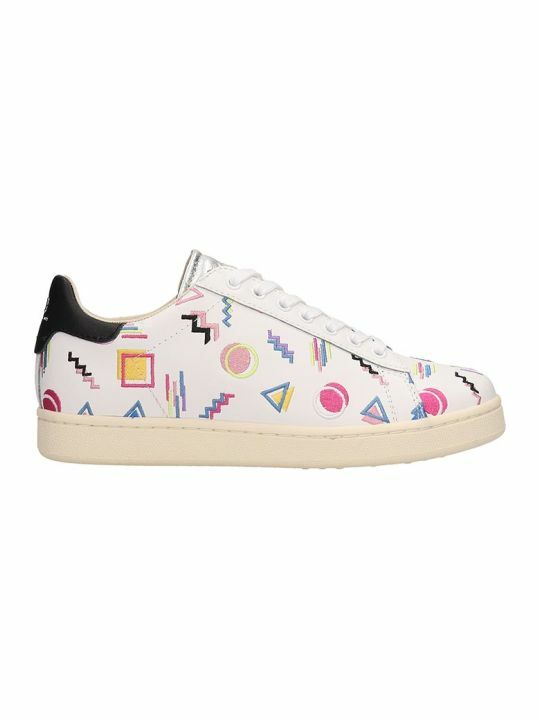 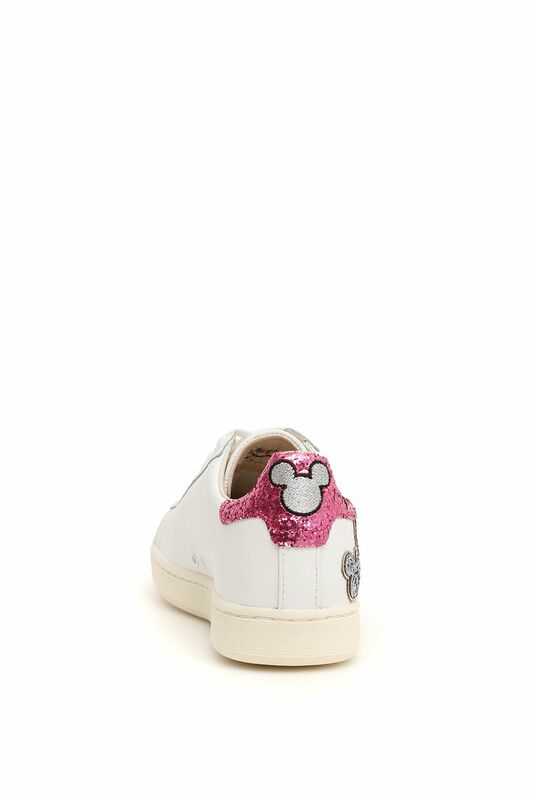 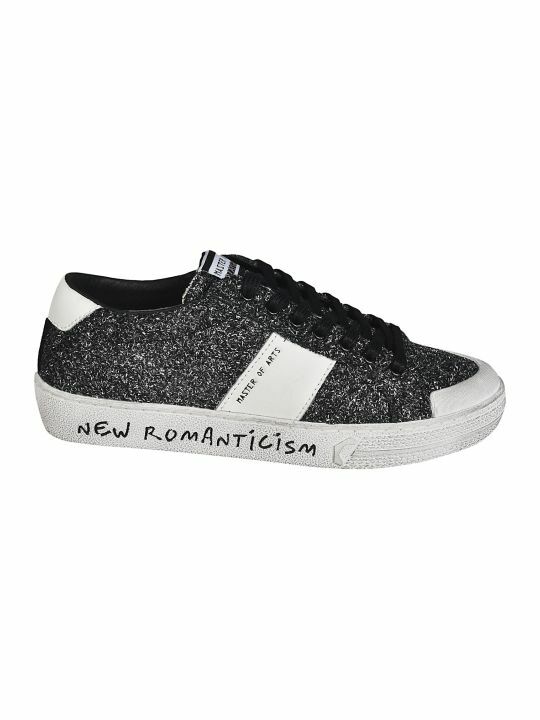 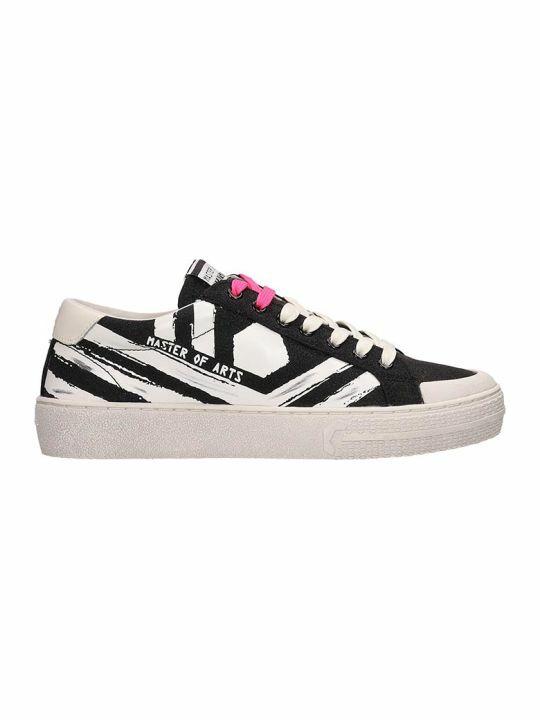 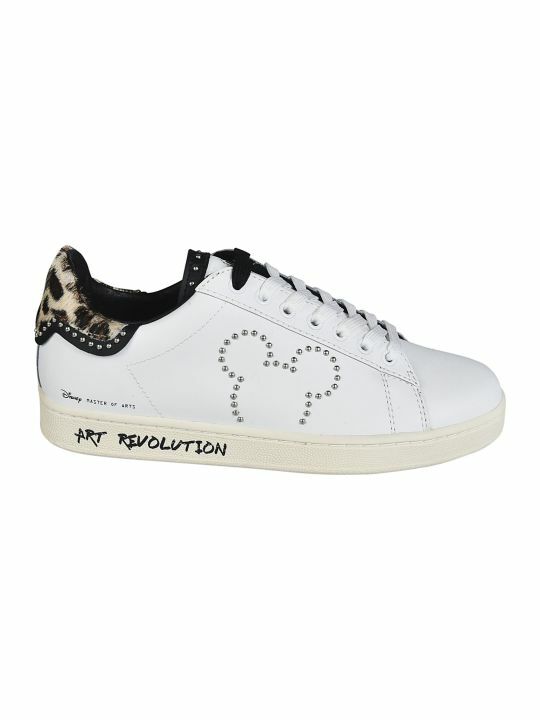 MOA Master of Arts leather Disney sneakers with glitter heel detail and "Mickey Mouse" patches. 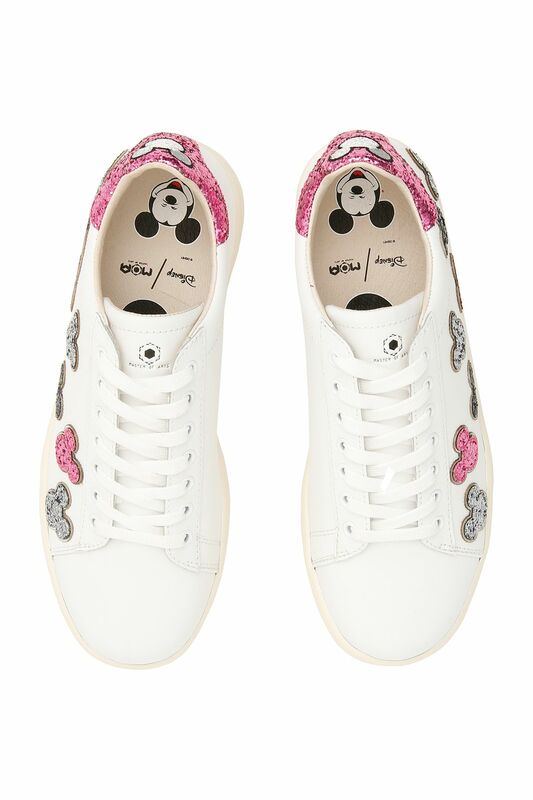 Polished metal eyelets, logo on the tongue, embroidered Mickey Mouse on the back. 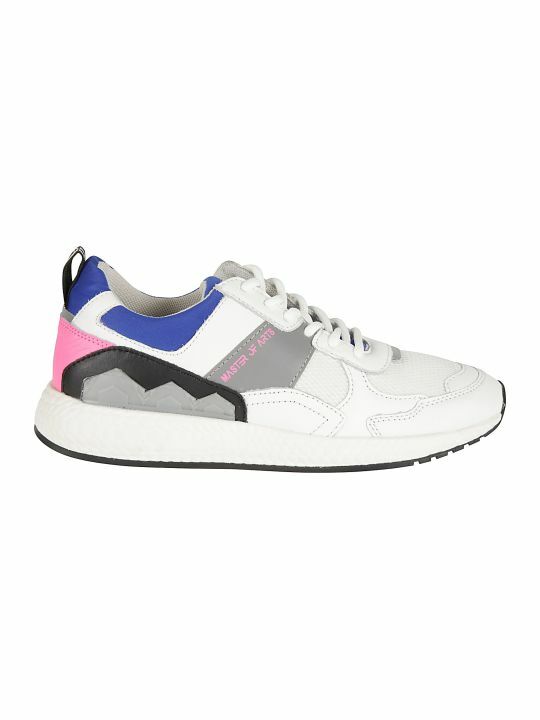 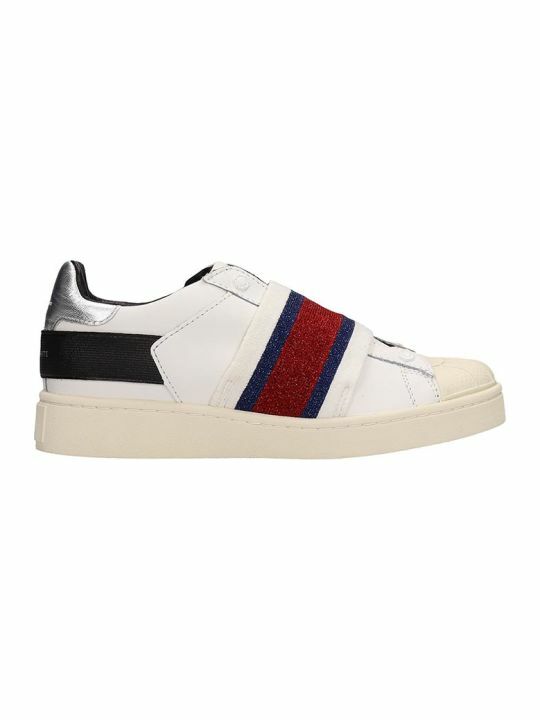 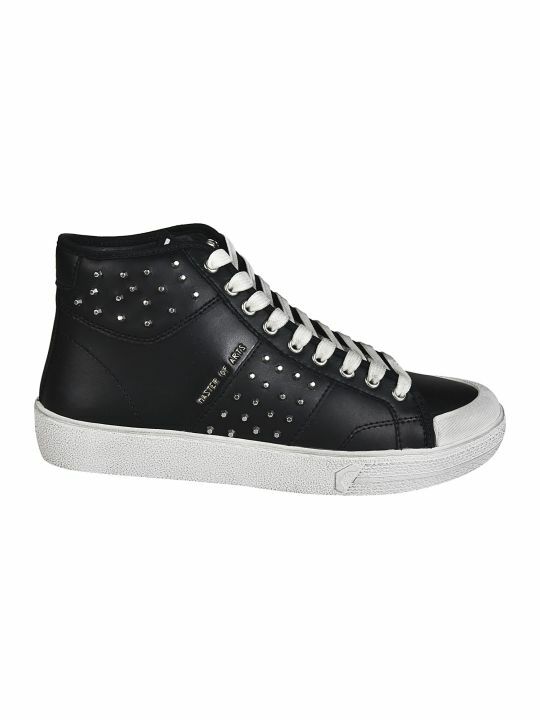 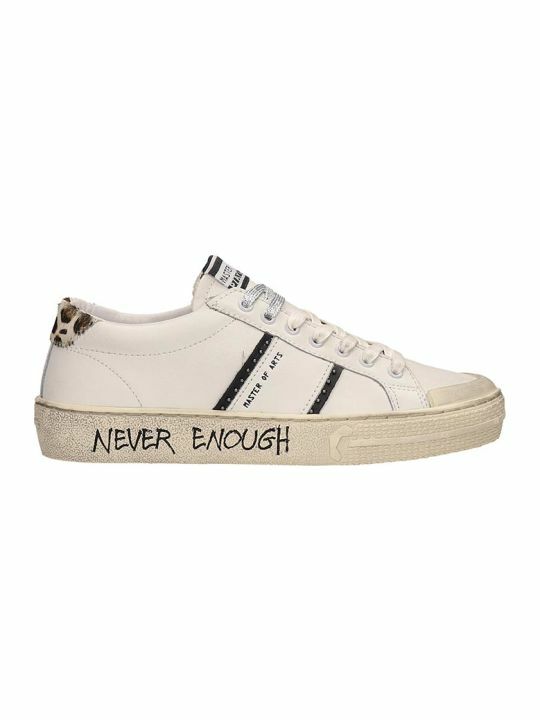 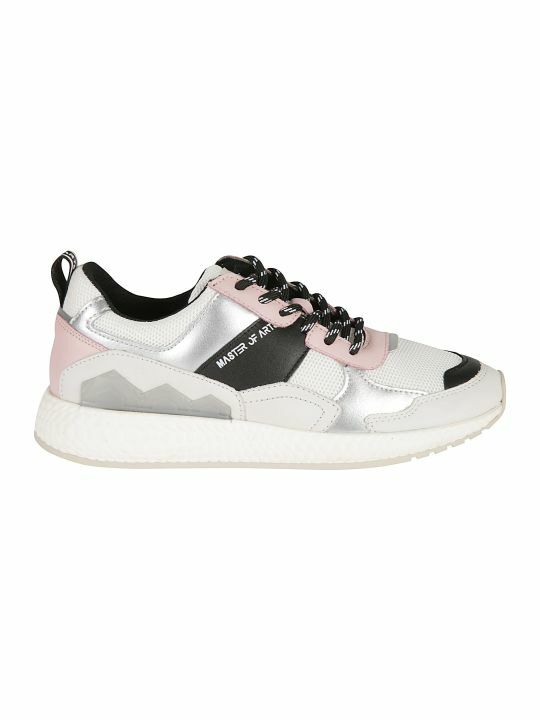 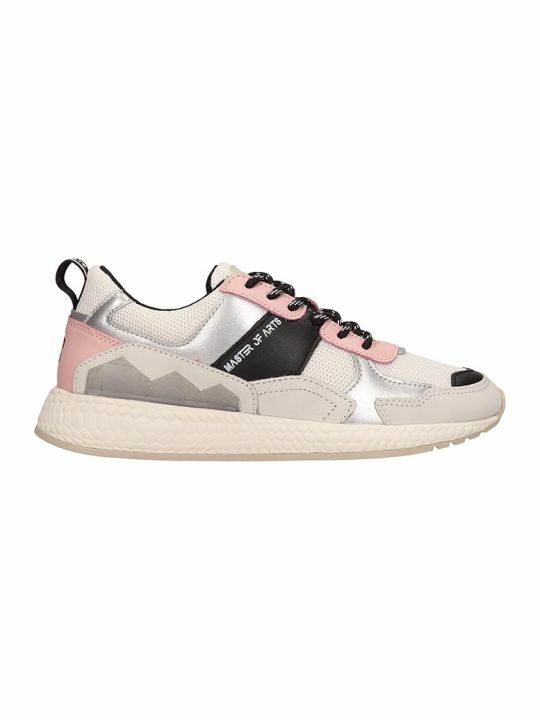 Leather lining, removable insole, rubber sole.